A little scrolltro using QbrGP2Xlib. This is actually my little comeback to GP2X demomaking and a bigger demo will follow one day. 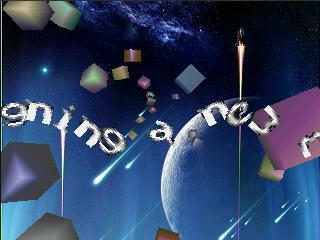 Also a showcase of a brand new 3d software engine I will be using in my future productions. Released at the demo competition of Recursion demoparty in Montreal, Canada.